There are unique issues associated with metal roofs and their timber roof frames which may give rise to structural defects, potentially impacting the sale of houses in WA. When tiles were the common roof cover material the roof frame was largely about holding up the weight of the roof/tiles or in short, managing downward forces. With the reintroduction of metal roof covering, the significant weight has been removed and hence the issue is now about containing uplift forces generated by wind passing over and through a house. In essence these light weight roofs can now act like the wing of a plane or the sail on a yacht. For in excess of 20 years, the Building Code of Australia and the Australian Framing Code (AS1684) has required that the timber in the roof frames and then the overall roof frame itself must be very firmly tied together and then tied to the building structure through a series of metal straps, propriety brackets, rods and bolts. The essence of all of this strapping, tying and bolting is to ensure that the house can hang on to the roof and roof cover during a significant storm. In fact, the Australian Standards refers to a one in a one hundred year storm that WA (ex-cyclone areas) in particular Perth, has not yet experienced. 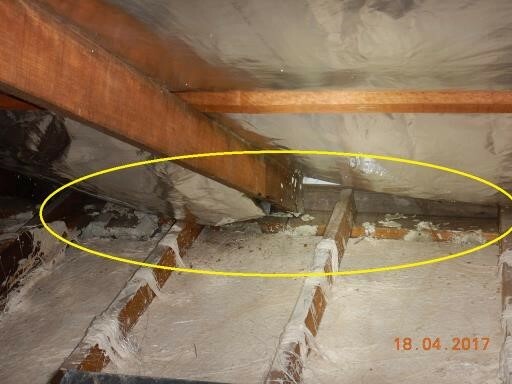 The WA Building Commission published a report in 2016 (COMPLIANCE REPORT: A summary of technical building inspections 2015-16) which indicated that of 651 roof inspections undertaken by the Commission, 37% were unsatisfactory. The findings were updated in Mid-year 2016/17 and published. Positively the overall position improved, sadly 33% were still unsatisfactory. The key takeout and based on these numbers, is that almost 1 in 3 metal roof homes could be adversely impacted by this issue. The problem is that every week at Houspect we identify several homes across Western Australia where this key strapping, tying and bolting of important structural elements has simply not been undertaken! At the time of the inspection, the roof has not failed but it is not compliant and in the event of a significant storm it is quite possible (according to the Australian Standards) that significant damage or failure can occur. Where the strapping, tying and bolting is deficient on a metal roof property, the roof frame will be deemed to contain structural defects. If a contract to purchase has been entered into and the REIWA standard building inspection clause has been utilised, the transaction may face challenges. The positive news is that the deficient strapping, tying and bolting can all be fixed. Where it relates to the centre of the roof down to the underpurlins a good roof carpenter, under the guidance of a builder, should be able to fix most homes within a day possibly two. Where the issues lies at the perimeter walls where tied down straps and rods to the wall plate are missing it can take longer, rarely more than a week possibly two. 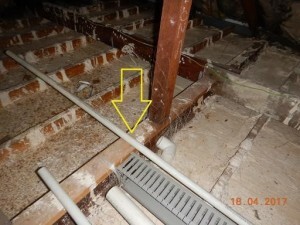 In multi storey homes where access to the upper level roof can be a challenge, it can take several weeks. What is important to remember is that the issues can all be fixed, often for less than $2,000 rarely for more than $20,000. Properties that can be particularly impacted by the above are older properties where there has been a tile to metal roof cover conversion. Theoretically, these conversions should have been undertaken via Council Approved Plans (inclusive of engineer’s plans) which would have called for the required roof frame strapping, tying and bolting to be retro fitted. Sadly, sometimes these conversions have been done without plans, approvals or a clear understanding of the core requirements. 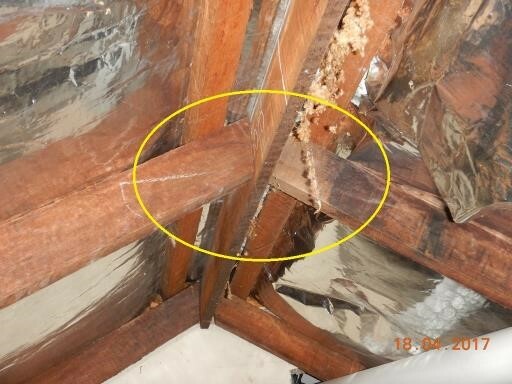 The challenge with all of the above is that building inspections in WA are often undertaken post finance approval and often only weeks prior to the proposed settlement date. Trying to organise builders and roof carpenters to complete remediation work, while you are trying to organise moving house, can be a very challenging task. At its worst, the remedial work may delay settlement which can wreak havoc on all of the stakeholder plans. If the property is less than 6 years old from practical completion, the original builder is obliged to resolve the issue unless they can produce plans from an engineer negating the requirement (quite rare). The challenge being to get the original builder to act in the required time (i.e. pre settlement). Important to note that the builder’s obligation carries onto whoever owns the property so it is possible that the buyer simply progress with the transaction and makes a claim against the original builder, but this can be a little messy for the new owner. The easiest solution is for sellers, particularly those with metal roofs to have a Structural Inspection undertaken on their home before going to market. 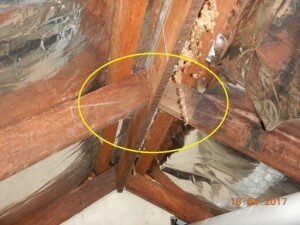 At Houspect WA, for less than $500 on the average single level home, a Houspect Building Inspector can undertake a Structural Inspection on a house for a vendor/seller so as to ensure that this and other similar structural issues do not exist in a home prior to taking the property to market. A small price to pay for assurance when trying to sell your home. Peace of mind really! 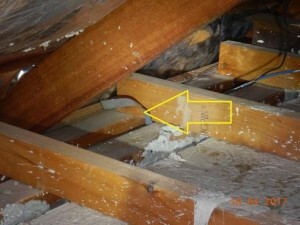 Metal roof frames constructed in WA over the last 20 years need to be strapped, tied and bolted. If not they are likely to be structurally defective. If identified the issue can usually be fixed, quickly and for a relatively small cost. But, ahead of a pending settlement trying to facilitate urgent structural remediation can be a big challenge. 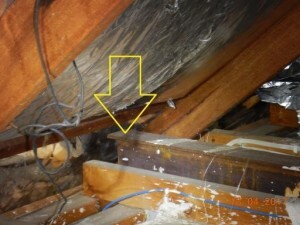 There are options, the easiest being to have an inspection conducted prior to going to market. None of the above information is intended as legal advice. Readers should consult their own legal advisers if and where appropriate. 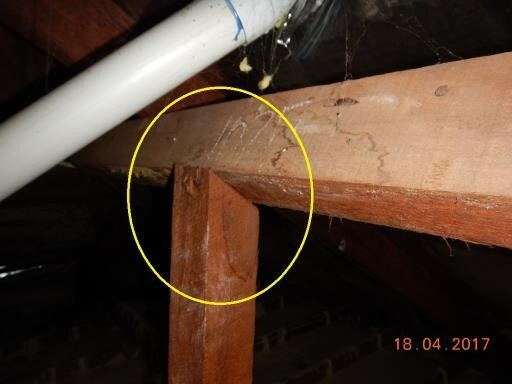 PreviousPrevious post:Buying a Strata Title Apartment in WA – Do I need a Pre Purchase Building Inspection ?NextNext post:Cracks in My Masonry Walls – Help Me!